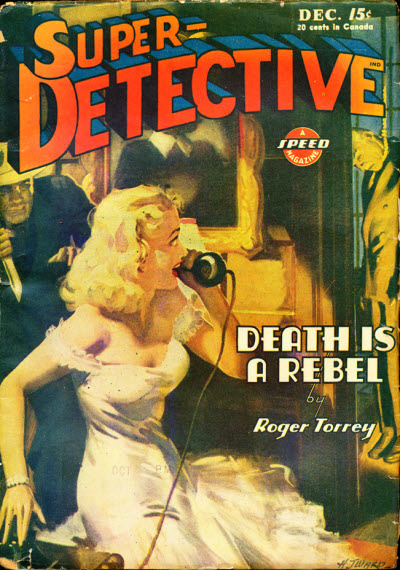 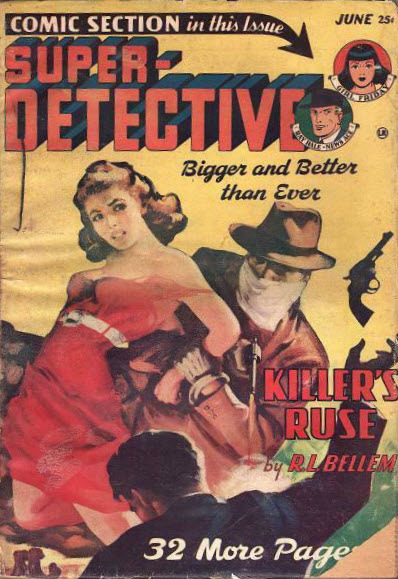 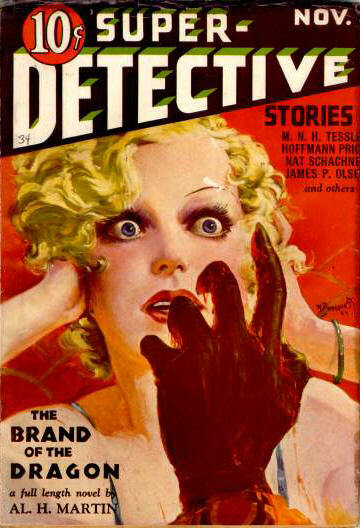 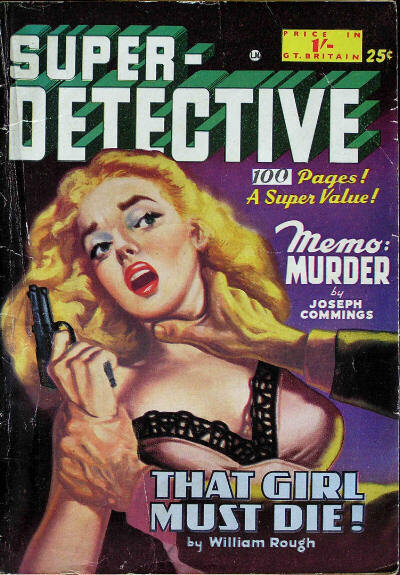 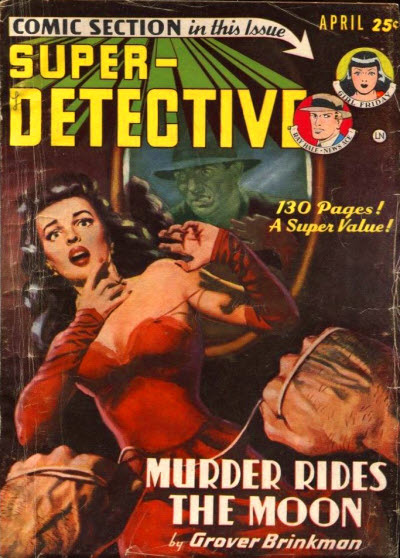 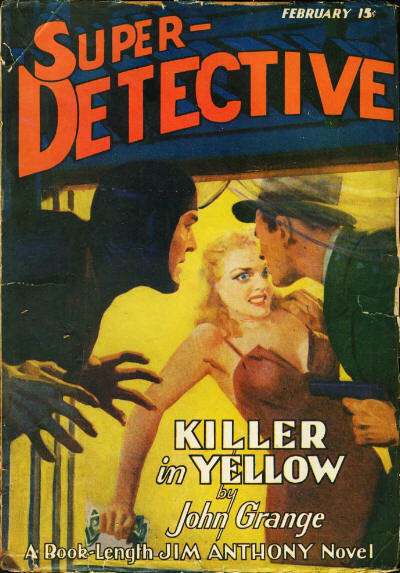 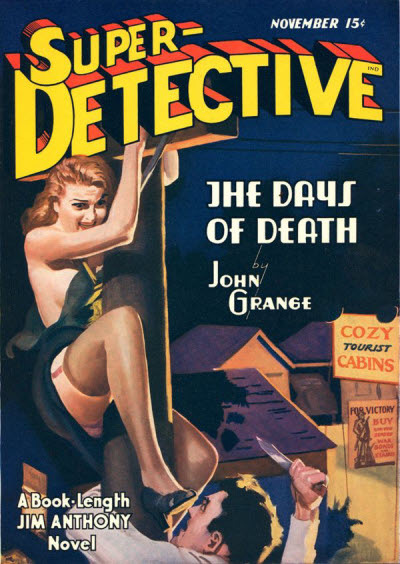 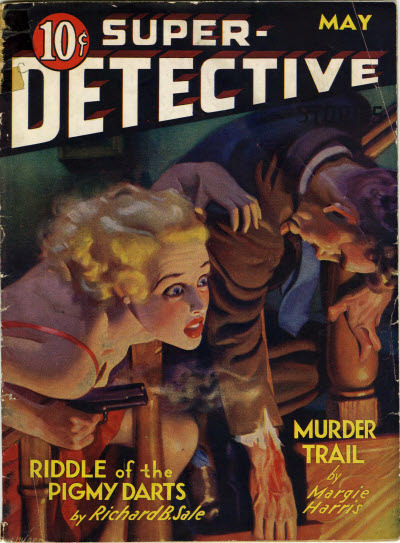 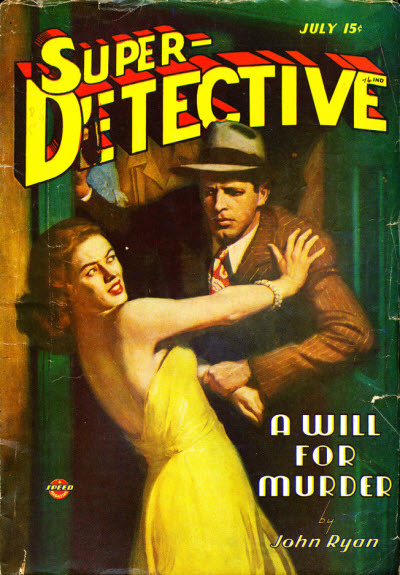 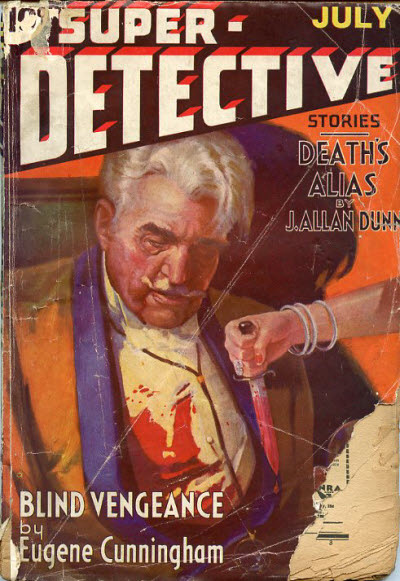 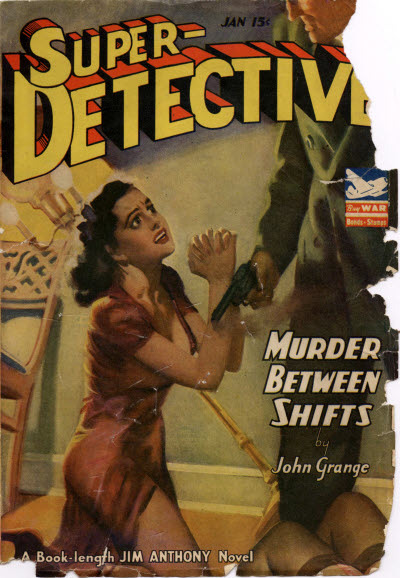 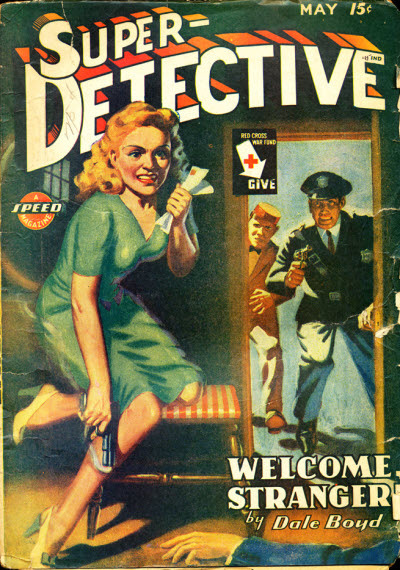 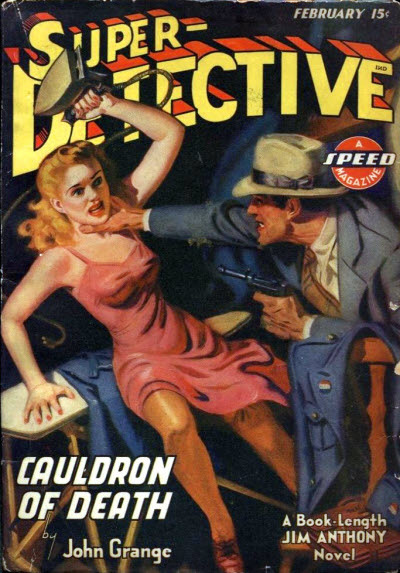 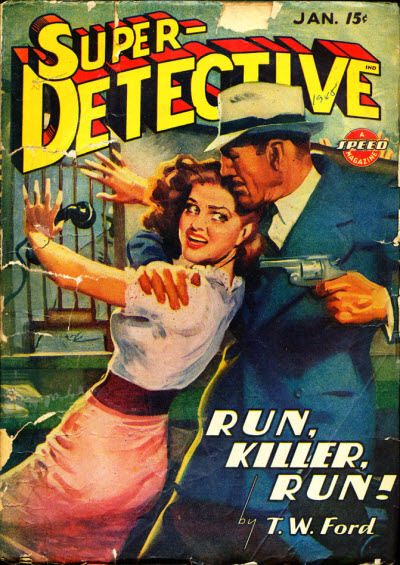 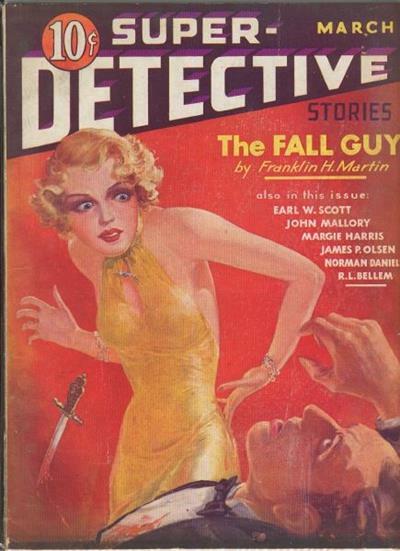 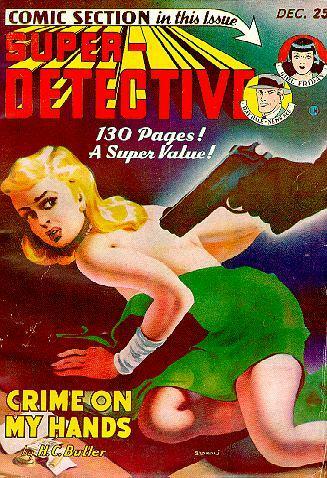 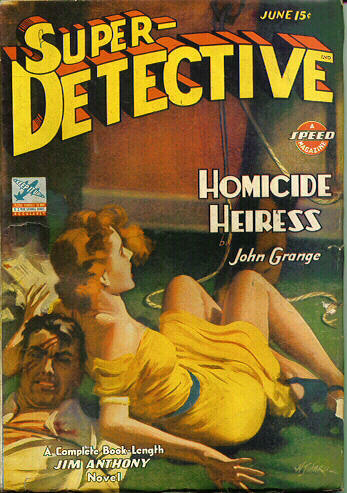 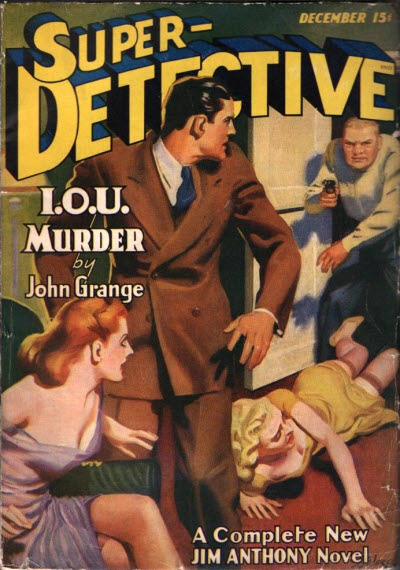 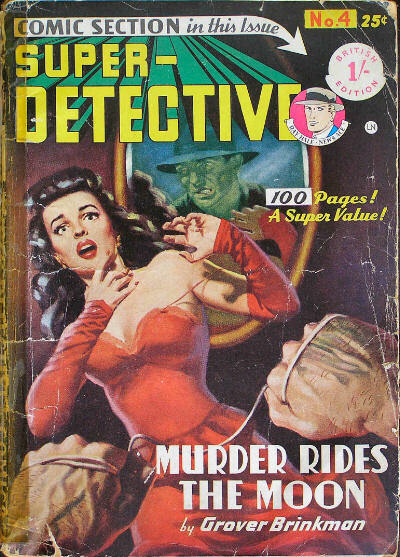 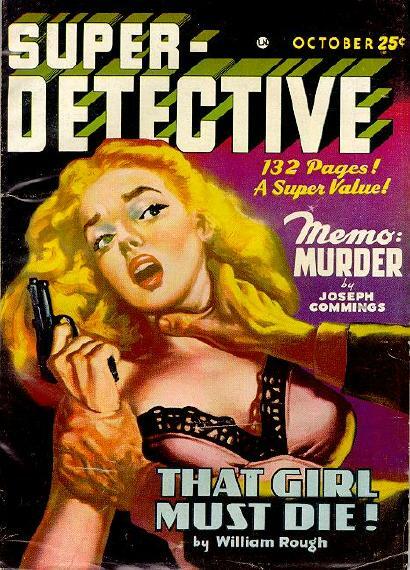 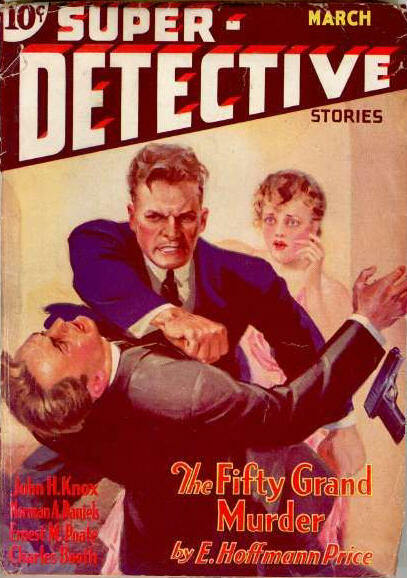 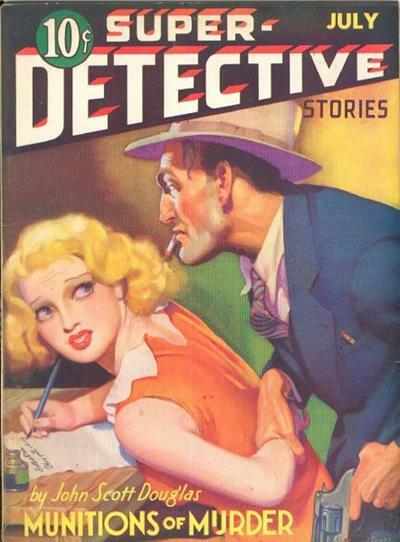 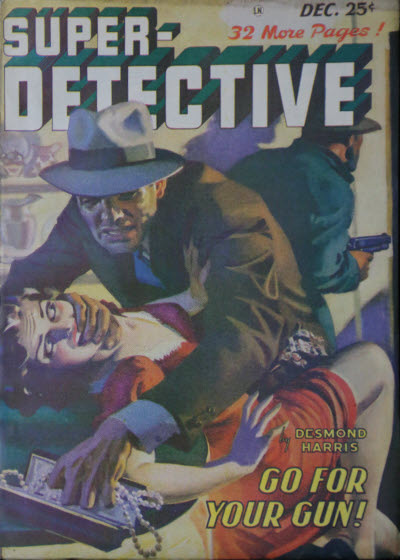 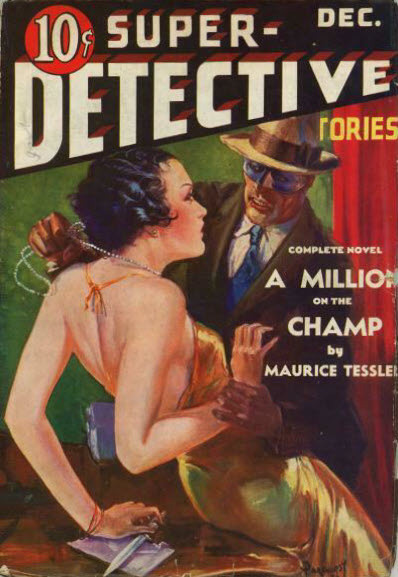 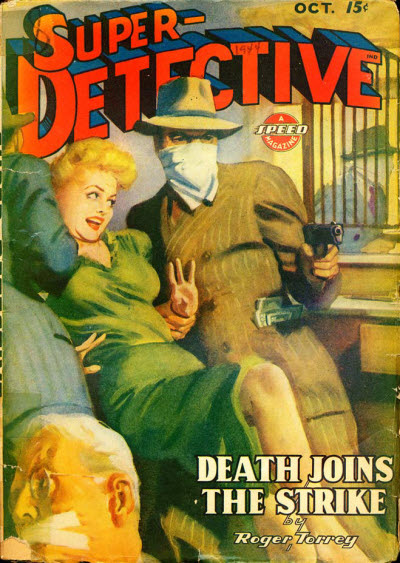 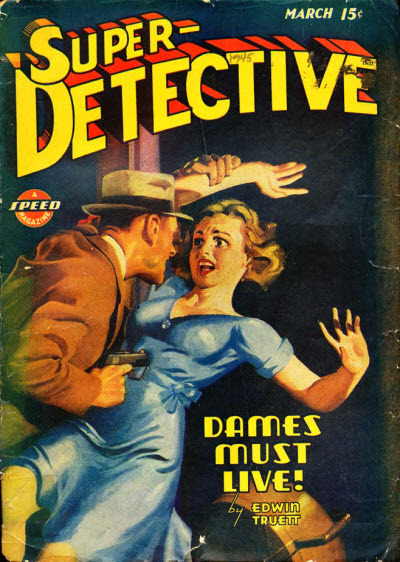 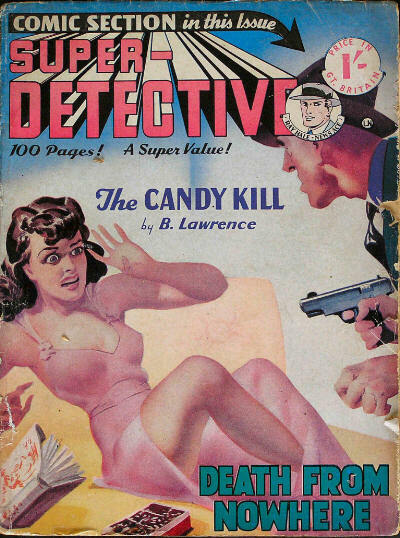 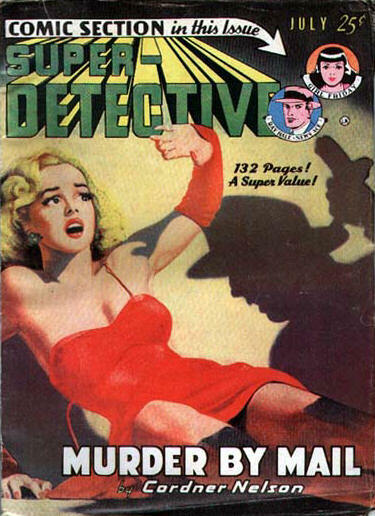 Super-Detective Stories was launched in the mid-1930s but, despite rather lurid covers, it ran fairly standard crime/detective fare and lasted for only 15 issues. 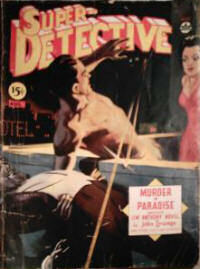 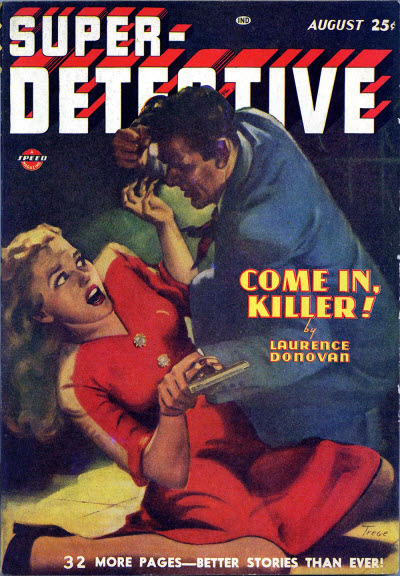 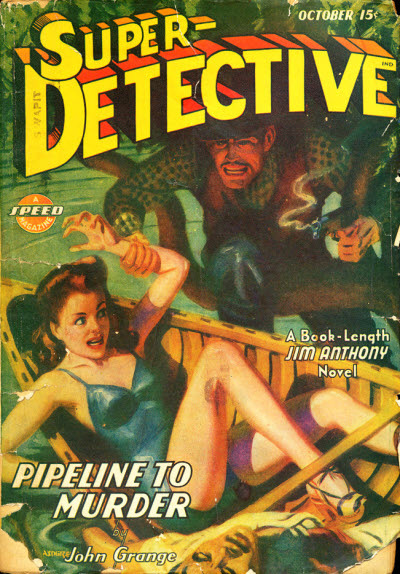 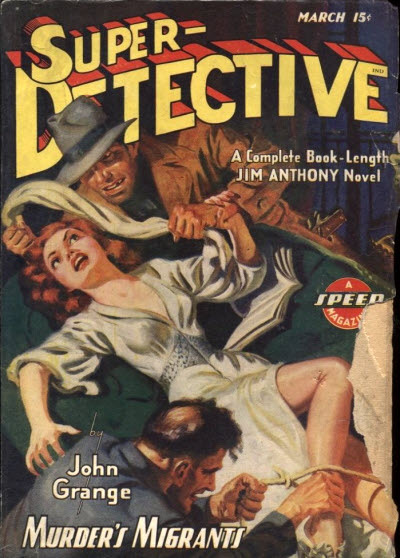 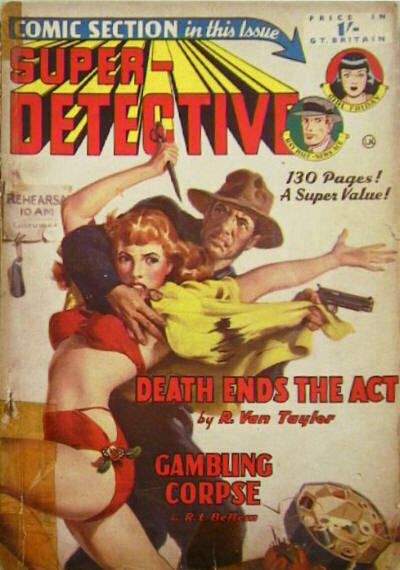 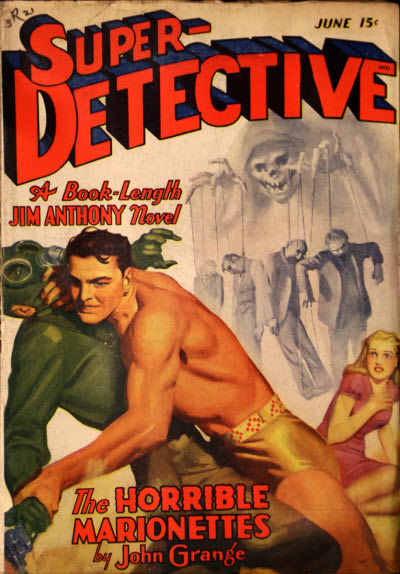 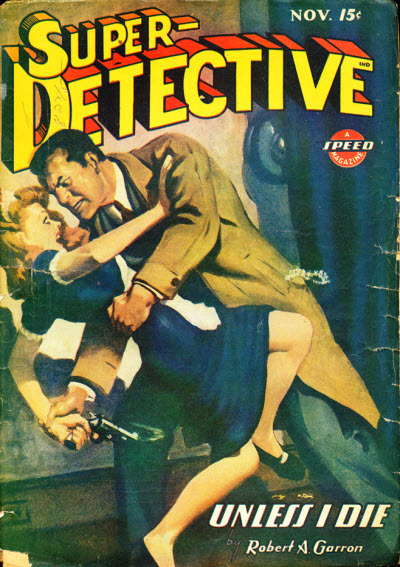 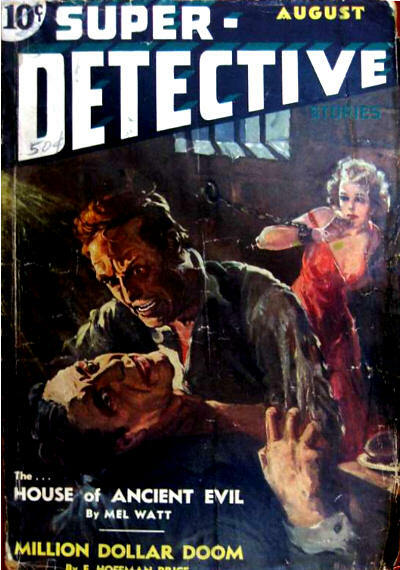 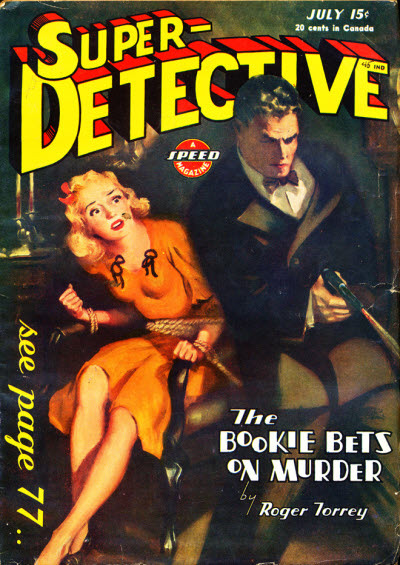 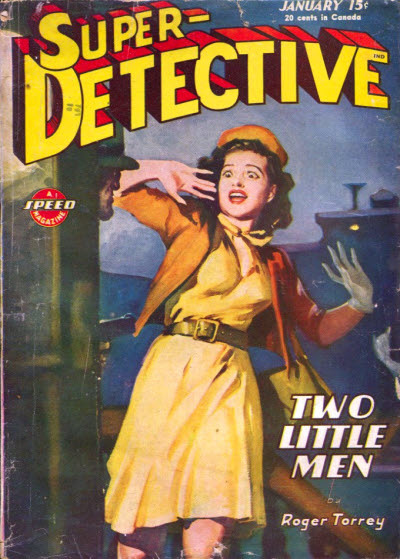 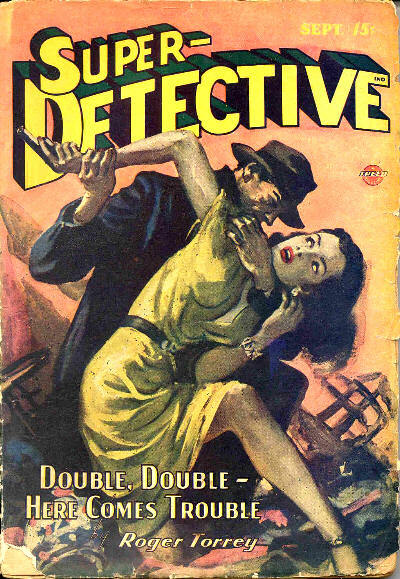 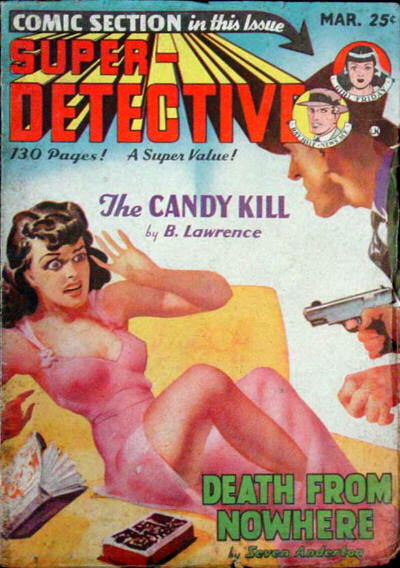 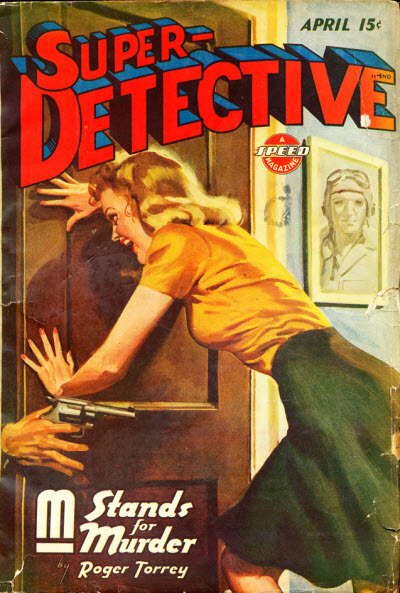 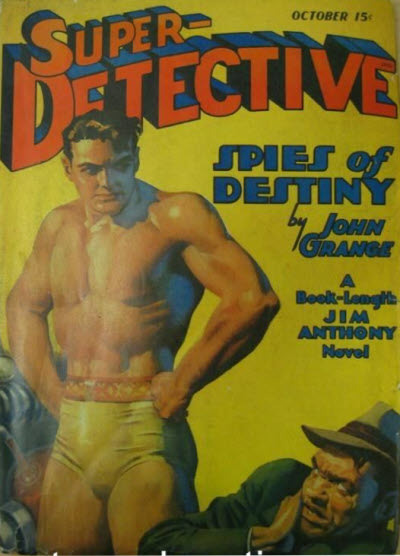 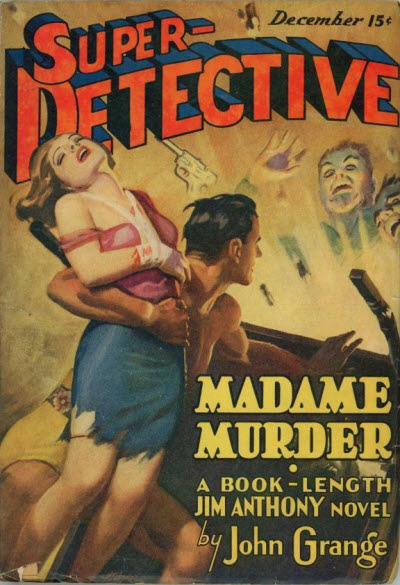 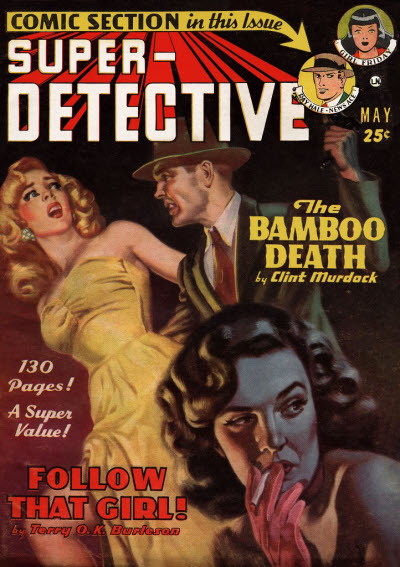 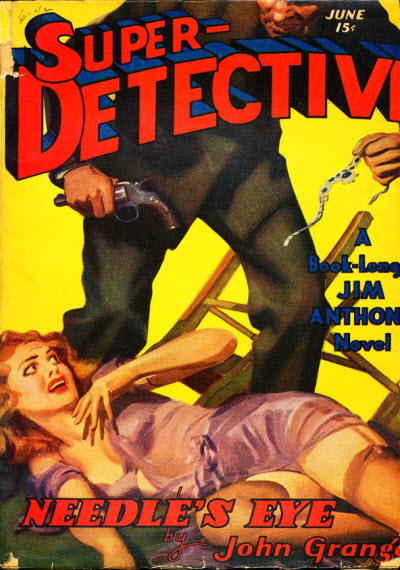 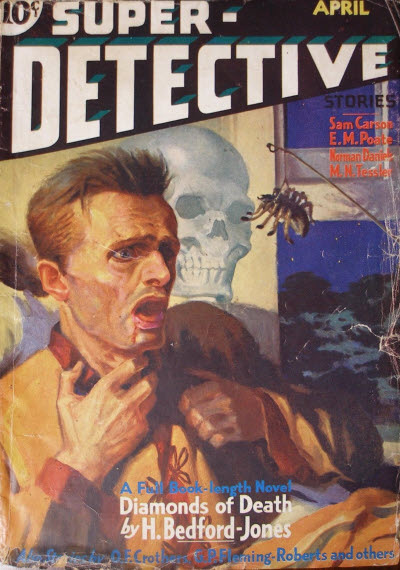 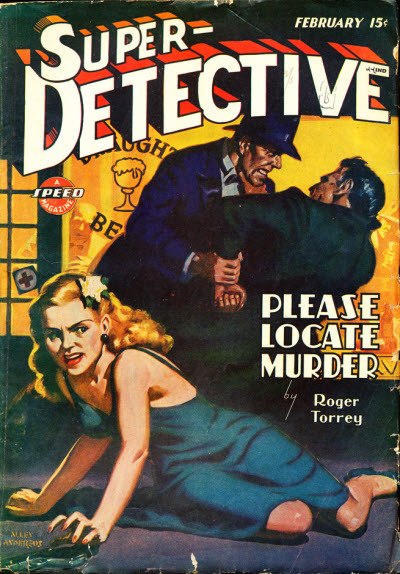 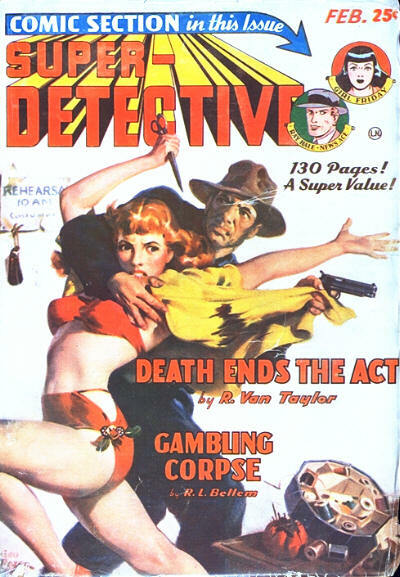 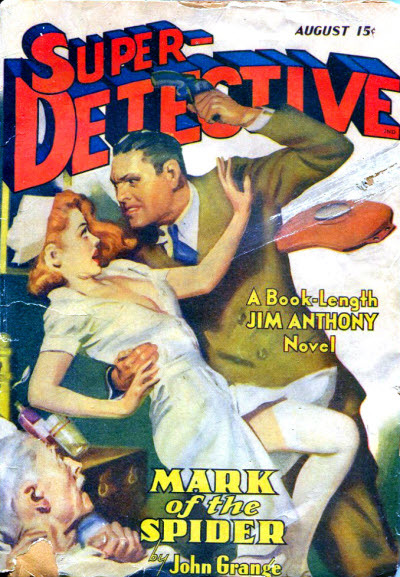 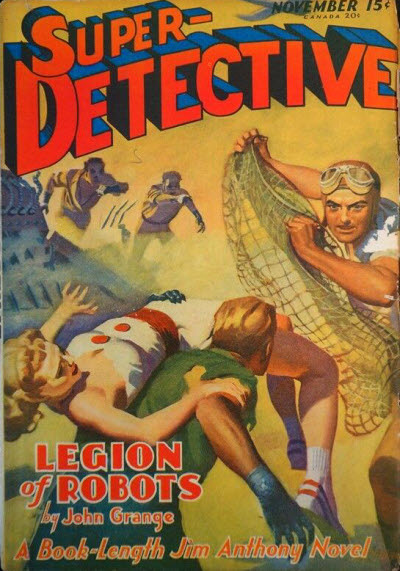 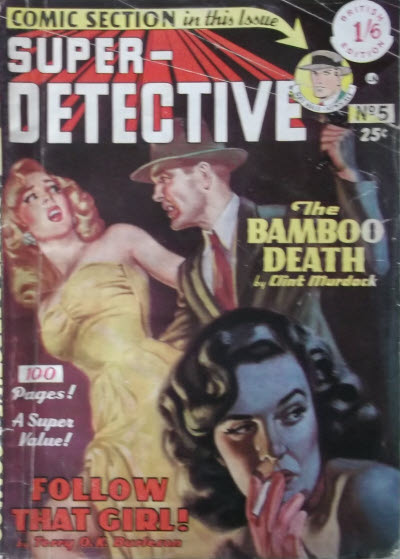 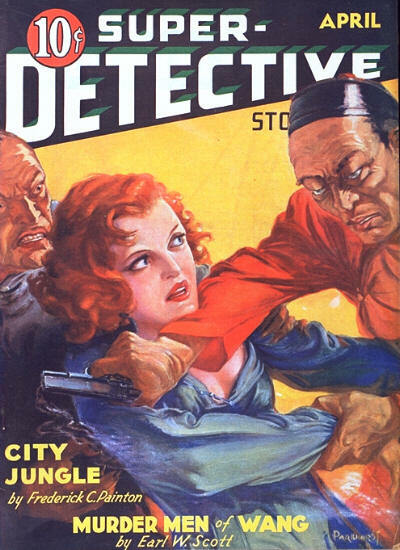 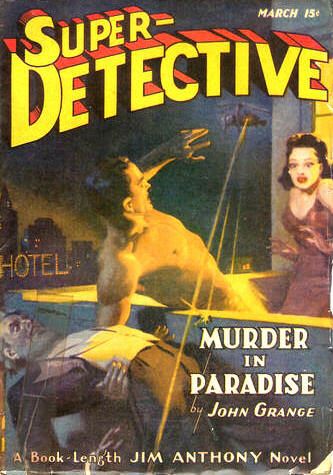 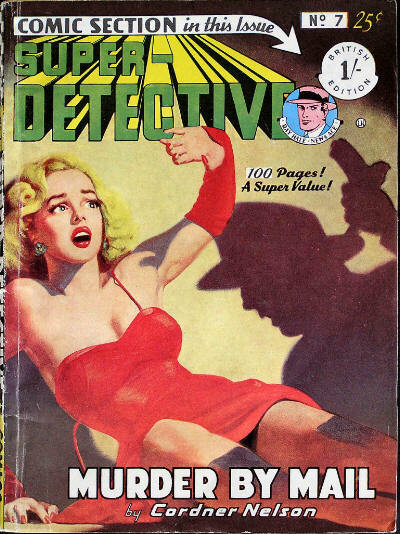 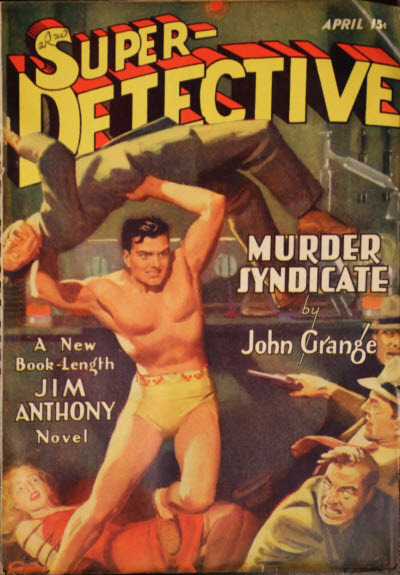 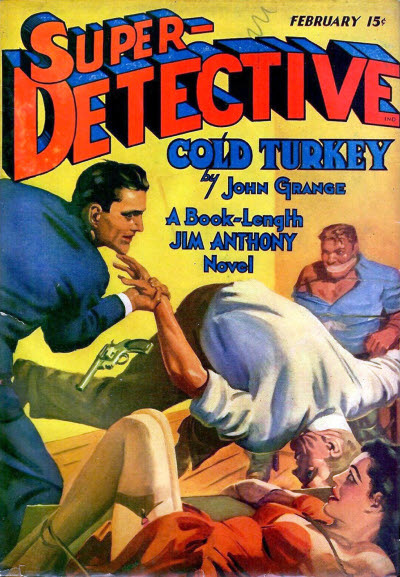 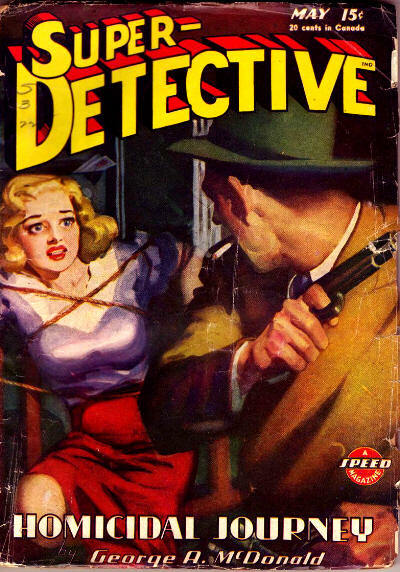 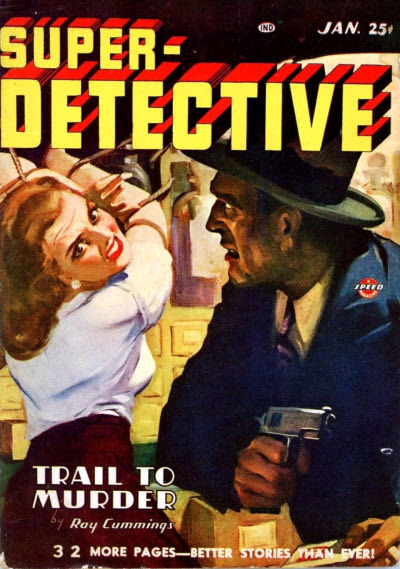 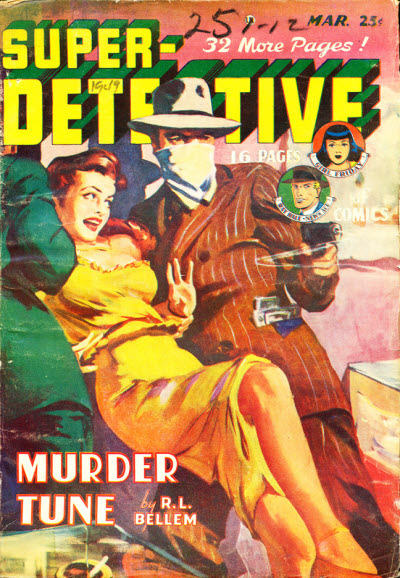 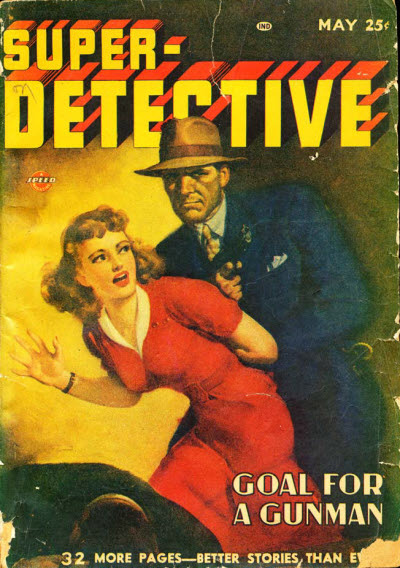 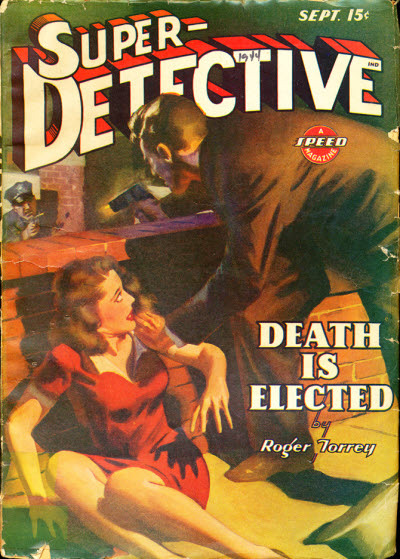 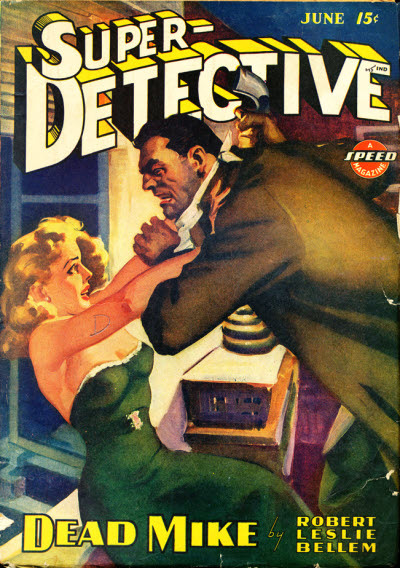 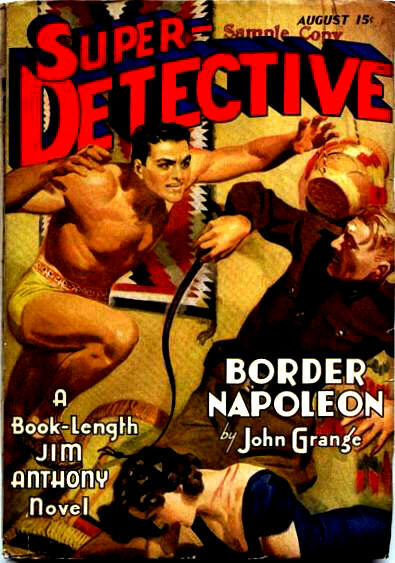 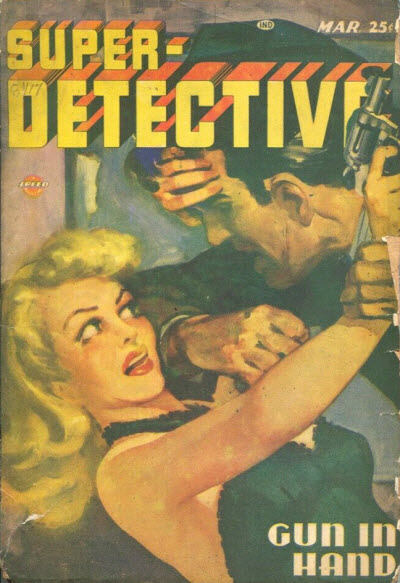 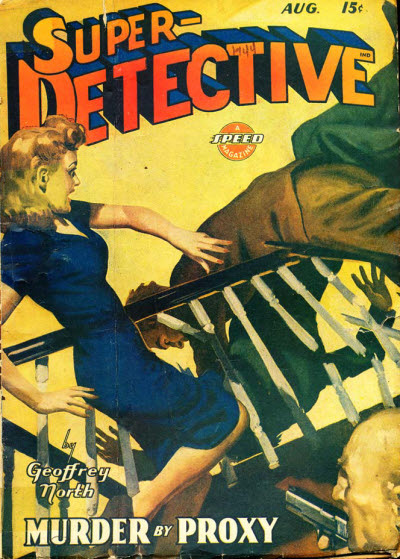 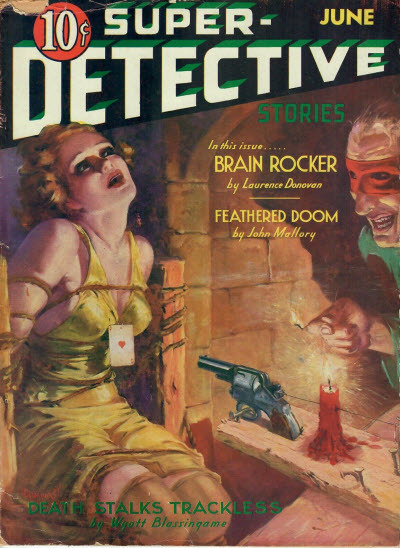 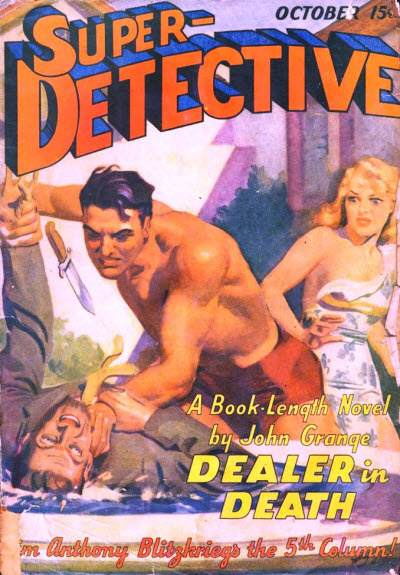 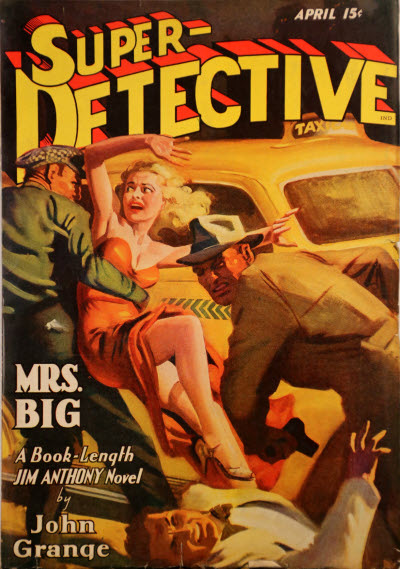 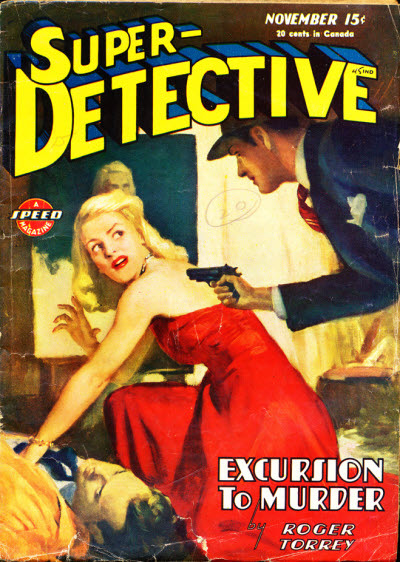 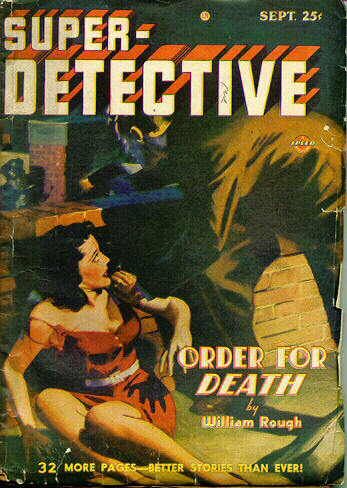 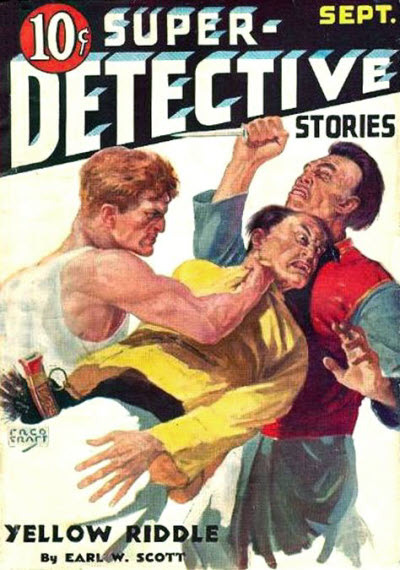 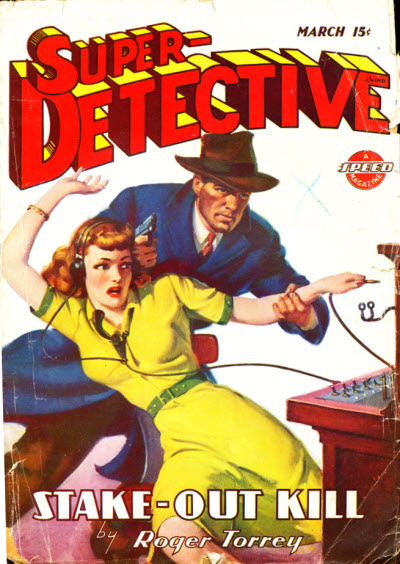 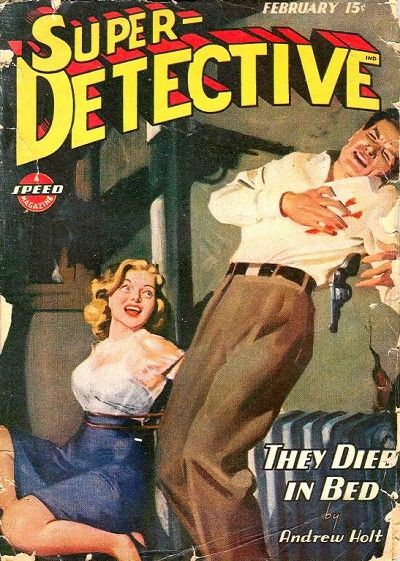 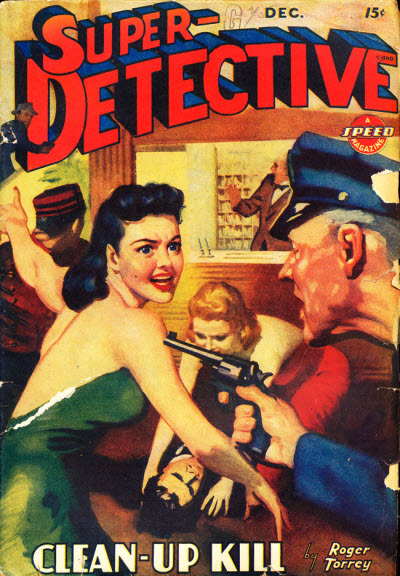 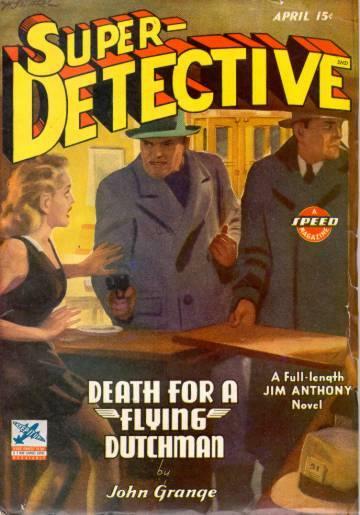 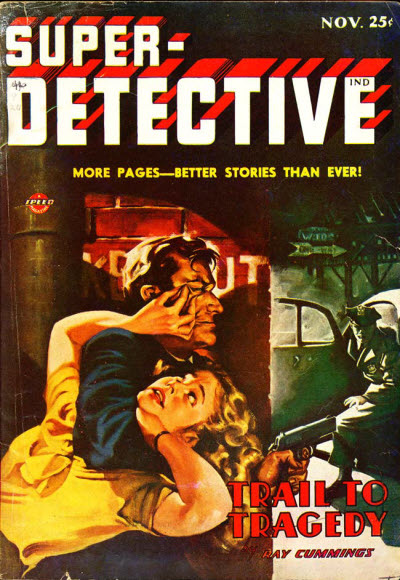 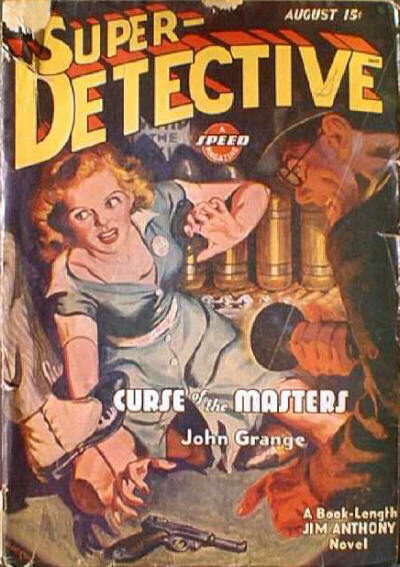 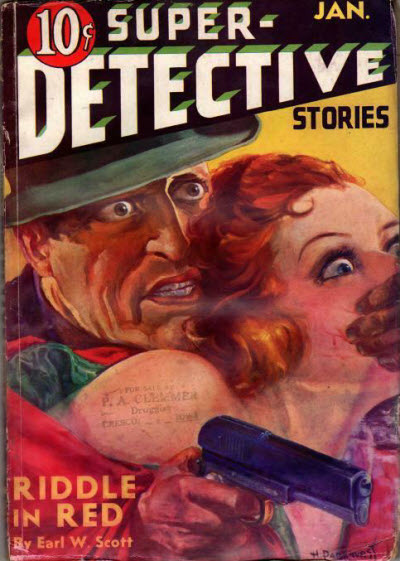 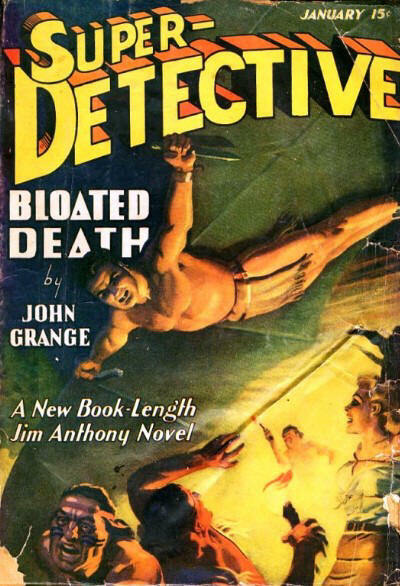 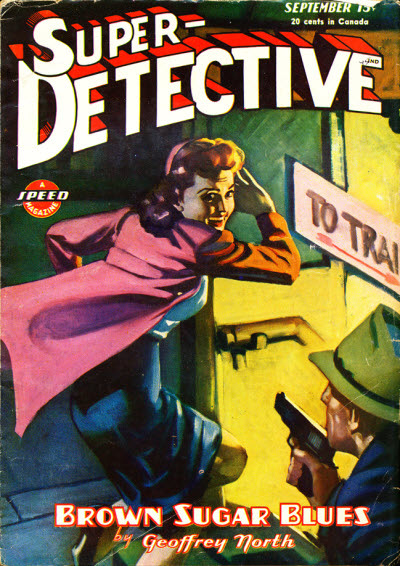 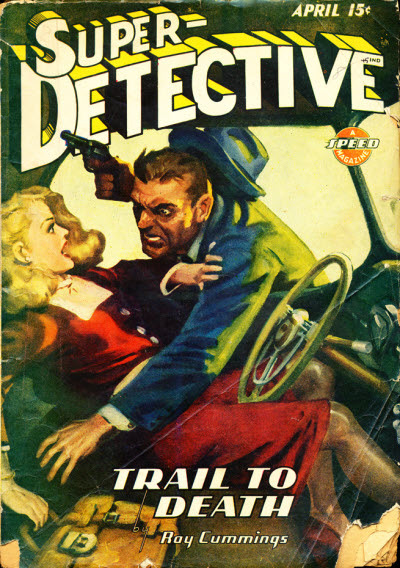 It was successfully revived in 1940 as a character pulp called Super-Detective, with each issue featuring a novel about Jim Anthony, scientist, businessman and adventurer. 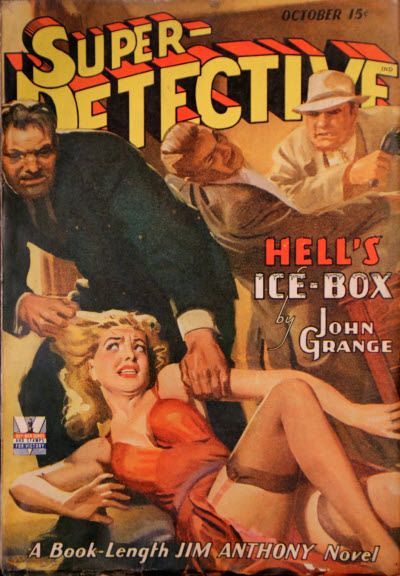 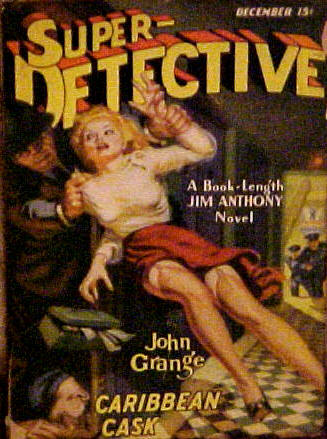 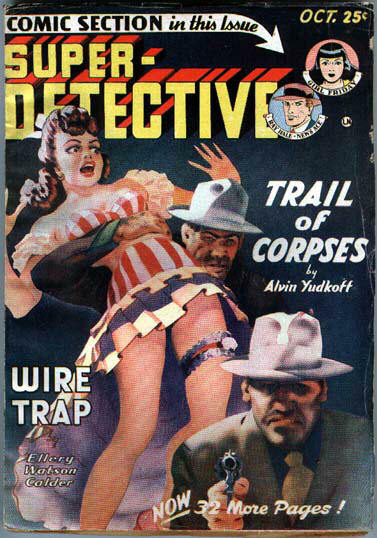 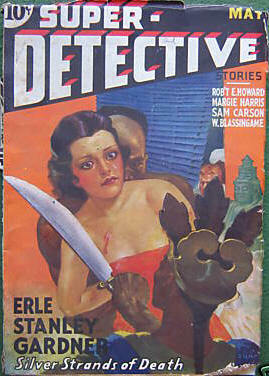 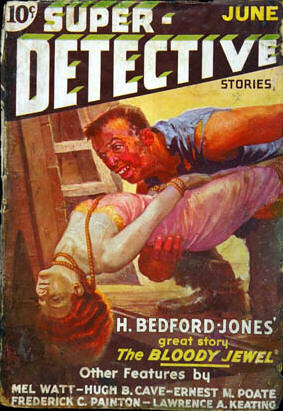 Under this title it ran for a further 65 issues, although the Jim Anthony stories were dropped in late 1943. 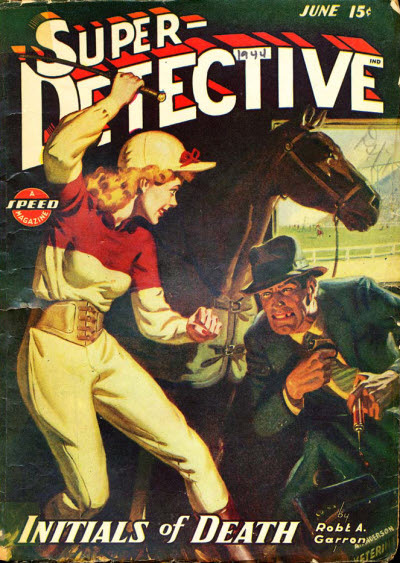 A British reprint edition ran for at least 7 issues in the early 1950s; and a Canadian reprint edition for 3 issues or so in the early 1940s.